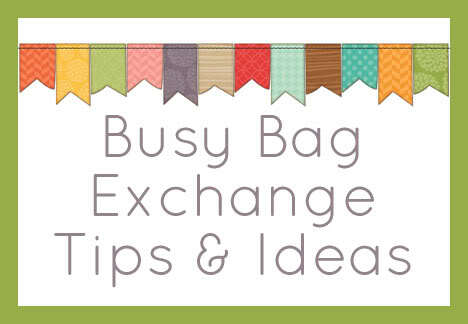 I’m sharing some experiences and ideas from the recent busy bag exchange I posted. You can read part 1 here and part 2 here. You can see the rest of the ideas I gathered for the swap on this google doc. Today I’m sharing the preschool aged busy bags from the exchange. 1. Numbers Flip Book. This was my bag and I decided to go with something new that I could also share with you here! I was inspired by the flip book here to make a preschool appropriate one using numbers and number words. I choose to focus on zero through nine for number sense reasons and to avoid going into double digits. On the left side cards are numerical numbers. The child turns the cards on the left until they find the matching number word. I chose to include a visual representation of the numbers (with circles) to help reinforce the concept. I also kept the number words in order to make it simple at first. 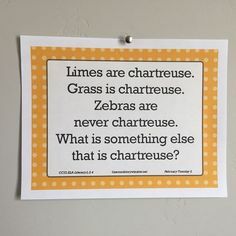 You could later on mix up the word cards and put them back in the book so it’s a bit more of the challenge for the child. You could even reorder both sides if you wish. Print the template for each book you are making. This will take 3 sheets of cardstock per book. Cut out the pages on the small dotted lines. Do NOT cut the bigger dotted line between the numbers/number words. It is much easier to do that later. Laminate, if you are going to. Hole punch on the x’s or have the book spiral bound. Assemble your book in order and secure with book rings or spiral binding. At the point use scissors to cut apart the number/number words pages. If you want, you can reorder the number words and/or numbers but I recommend keeping the numbers on one side and the number words on the other. Any questions I haven’t addressed? Leave them in the comments! 2. Q Tip Counting Trays My friend had some trouble tracking down the water bottle ice cube trays seen in the link for a reasonable price in time for the exchange. The author of the link says she found hers at the dollar store so many you can find them there too? The variation my friend made is totally fun though so if not, don’t despair! She used a regular ice cube tray labeled with numbers and included a bag of small beads. If my math is correct, you will need at least 136 beads per tray for this variation, if your ice cube tray also has 16 holes. 3. Number Wheel This link is pretty straightforward and includes the template. I think it might be good to print this on cardstock if possible. I will definitely be laminating this (along with the other paper pieces from our exchange since we didn’t require lamination.) The clothespins can run expensive (especially on some of the bags below that require LOTS of pins.) I recommend shopping around. Here’s a link for some on Amazon that cost .08 per pin. 4. Patterning Grids The link for this one includes the grid template. I was thinking that I might like to make this one reusable, so I plan to print the grids again on cardstock (+ a few more) and laminate them. I’m also going to start the pattern on a few of the strips so that beginners can just continue the pattern instead of creating it. I will still include some blank ones. The person who made this bag said it would be easy to add more/new shapes with small scrapbooking shape punches. 5. Clothesline This one is SO cute. You’ll find directions + clothes templates for the felt cutting in this link. Super helpful! As I mentioned in #3, I recommend shopping around for clothespin deals. 9. Colored Pasta Beads + Stringing I think it’s great to keep the colors sorted into baggies so the kids can easily make patterns with them or mix them if they want. The link has some pasta dyeing instructions. Like I shared on the toddler exchange post, I found I had to air my pasta out at least overnight if not longer to get rid of the alcohol smell. 10. Double Trouble Shapes You should be able to find foam shapes for pretty cheap in bulk or you can always cut your own from foam sheets. We didn’t require lamination but it would be tricky to laminate these with the shapes already on them so she laminated them or covered them with contact paper or something because the front of the page is covered. So helpful! 14. Popsicle Stick Puzzles Apparently it’s a bit tricky to get the sticks lined up right to attach the picture for these. The suggestion to tape them down would probably be very smart! The maker of this bag found the images she used on the internet. 15. Popsicle Color Match Another link here. The popsicle sticks have the color labeled on both ends of one side (once written in the corresponding color for a hint) and the other side is labeled with the “flavor” and a colored swatch of the corresponding color for another hint. Nice touches to make it easier for beginners! 16. Shape and Color Memory Match I was told by the maker of this bag that getting the felt to bond to the discs took a really long time of holding the iron in it, so be warned. She also mentioned that it was tricky to cut the felt into small shapes without the felt pulling away. She used coupons to Michaels, JoAnns, etc. over a few weeks to get enough of the wooden discs for a decent price. If you need to order them online, I’d shop around etsy and other websites. Here’s a link I found for some on etsy. Not sure how they compare to a craft store + coupon but worth comparing. Here are some from Amazon. And if you scroll down to the end of this post, the blogger gives a contact e-mail for someone she corresponded with who sells the wooden discs for a really reasonable price. It may be worth contacting him for a quote. 17. I Spy Bottles The maker of this bag photographed exactly what was in each one before putting them in, so smart! If your child isn’t old enough or patient enough to look for specific things, you can take off the photo (attached to the lid with a rubber band) and just see what they can find on their own. For safety’s sake, the lid was hot glued on really well. 18. Clothespin Matching There are a couple different concepts covered here so there’s lots of little strips to cut. If you’re looking to cut costs, I’d look for deals on the mini clothespins. You can get 250 on Amazon for .05 per pin, including shipping. 19. Spin & Spell This is such a fun activity. If you need to cut costs and can’t find a good price for the letter stickers or rub ons, I’d very neatly write the letters on with a permanent black marker. Check the comments of the link for some ideas of what letters to use. Here was one for 3 bolts: F, L, M, N, R, S on the first hex, A, E, I, O, U on the middle one,B, D. G, P, T on the last one for 150 pronounceable combination. It wouldn’t cost much at all to add more bolts to this. Our bag maker shared where she got her stickers so we could match the ones she used if we wished to. 20. Build a Cupcake Another idea here. I actually don’t have photos of this because we were short at the exchange and I’m still waiting to get it from the person who ended up with an extra. But the link looks adorable! I would definitely be interest in more ideas/printables. Thanks again for sharing your ideas and sign-up sheet with me. I really want to make some of the other ones now that no one in my exchange signed up for. I just need to buy a color ink cartrige without my husband knowing as he doesnt think we EVER need color ink! These all look so amazing! I cant believe you were able to coordinate it all. Thats a lot of work! It looks like you got fabulous results and it paid off! I just picked up a bag of clothes pins from a thrift store this week not knowing what exactly I would do with them. Now I have plenty of ideas! Instead of ice cube trays for I believe the 2nd idea you could use egg cartons. These are great! Thanks for putting all the links in one place. I would love to participate in an exchange if you ever do another one. Wonderful ideas! Thank you for sharing. Would love to participate if you do it again. Wow! these are all the great ideas ..thanks !! !Love your post !! I love all of these ideas. I may try to host a swap with my mommies group from centralpiedmontmommies.com. I would love to see more about busy bags and swaps. New fan! Love these ideas. We have a to-go bag by our door for our two-year-old and some of these ideas would be great for it–and we could even bring more for the kids who we often meet up with for big lunches here in Italy. (Its a big thing on the weekend, believe it or not, going to a long lunch at a restaurant with kids in tow!) Thanks for the fun new ideas. amazing thank you for all these ideas! for the pattern grid you could put on a metal sheet pan and make it magnetic. Could also create a lot of circles and put the stickers on them, laminate and then put magnets on the back. I love your blog!!! This is great!!! Oh my goodness, I am so excited to use many of theses ideas, thank you!! I am a special education teacher and love these hands on learning activities!! That’s a great idea, Sharon! Thanks for sharing! What a great list of activities! I’ve read of lots of mommies who want to participate in swaps but none are local (here in Missouri) so I’ve opened up my own shop for busy bags for the younger preschool ages. Via a blog, we share tips for use and ideas as well as offer all products for purchase so moms don’t have to waste $10 to get one bag and have lots of leftovers! We’ll be opening an etsy account soon and will link up to your shop since you have some pretty awesome printables!! Thanks for helping to inspire many moms! Love it, keep the great ideas coming! These are terrific! What a great idea to have an exchange. I teach a preschool co-op and will definitely be using some of these ideas! Thanks! Great Ideas! I am a preschool teach and send home bags over the weekend. I am going to add some of these to my list. Thanks!! I just have one question about the junk sort. What exactly is the child supposed to do? I have lots of “junk” and would love to make one but I’m not clear on the purpose. Thanks for sharing your ideas! This has been super helpful! Each compartment has a color and a number, so green 5 for example. That means 5 little green things will get sorted into that spot. You want to make sure you have enough junk in the right colors to fill your openings. there are some very practical inexpensive ideas to enhance my curriculum. Thanks! PS Found you via Pinterest. Your board organization is divine! I’ll be reorganizing my boards in a similar fashion as time allows. Thank you again! Found this on Pinterest and am so excited to start some of the ideas my 2-year old daughter is about ready for! I’m thankful for your ideas because while I love teaching, I’m not great at coming up with creative ideas I could make at home. This is wonderful and I’ll be sharing this post with all my friends! Hi Emily! So glad to help. My daughter is about to be 2 so I can personally say that she has loved a lot of these! I’m selective about which ones she can use since she’s so little and I always stay near because some have small items. But she LOVES them! Thanks for visiting, commenting, and sharing! This is such a great idea, thank you for sharing your experience with it. These are really great ideas! I am trying to find ways to keep my preschooler busy when not in school and both me and daddy are not feeling well and/or working from home. Thank you for the compilation. I’m sorry – posted the wrong link. I love your ideas. They will help for next fall with my next pre-kinder class. For number 10 – the shapes. Could you maybe glue the shapes on then colour photocopy them. That way they would be flat and you would be able to print onto card and laminate. Thank you very much wonderful idea,I can’t wait to be using some of these ideas ,wonderful site and good post,I look forward to more posts . I love your ideas! I teach first grade and I use those plastic wire ties to bind my books. I use page protectors as my “fake” laminating and use the ties to bind. Just cut off the extra and your good to go. They are extremely cheap and it takes a very long time to use them all up! Fantastic! 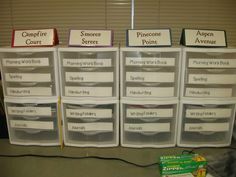 I’m already creating these for my classroom. Thank You!! By the way, you can get 100 clothespins for $1.88 at Walmart, and they don’t fall apart like the dollar store ones do. Thanks again! I’m trying to find the templates for the pool noodle lacing in the pastel color format. When I click on the link you have, it goes to the primary colors. I bought pool noodles based on the pastels (couldn’t find primary colors) and now can’t figure out where to print them! Thanks for your help! Hi Amber. I’m not sure what the girl in our exchange did for that one. I’m guessing she used that one as a template and made her own. Sorry! Good luck. About the clothespins, I went to the 99cent store today, and bought a bag of 50 for 99 cents (which makes them 2cents/pin). I got 200 for less than $4. They also had bags of 75 plastic ones for 99 cents. Any local dollar store would probably have them. I found the water bottle ice cube trays at a garage sale. I got 2 for a dime!! This is amazing!! can wait to make it all!! i love the font on the flip book, what font is it?? Hello! Can I ask if I am allowed to copy your ideas? I am planning to use some for our project in one of my subjects now. In my preschool, I use 18 count cardboard egg cartons instead of ice cube trays. Just cut off the lid! I let the kids paint them rainbow colors by squirting a small amount of paint into each hole. When they dry, I number the inside bottoms with a sharpie. For younger kids, instead of beads, I count with cereal or tiny toys (we have little tiny plastic frogs, so we call it frog math). I ask one child to put 4 frogs in their carton and the next child to put in 6. Then I ask who has more frogs, and who has fewer? What happens when 1 child adds 3 frogs and 1 child takes out 4 frogs? Who has more pink frogs, who has more brown frogs, etc, etc, etc… They can also play by themselves with 2 cartons. 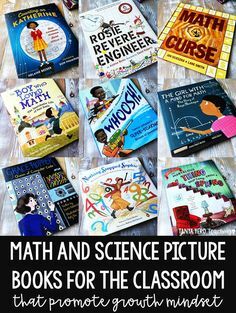 It is a great intro to math and the kids LOVE it! Great ideas. Also, you can get a 50 pack of clothespins for $1.25 at the Dollar Store. Or I’ve seen packs of 32 at the Dollar Tree. I am hosting a busy bag swap through our stroller strides workout group. I got 11 people for our toddler swap on July 1st and I am sending out the letter for the pre-k swap. 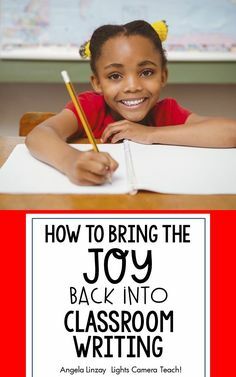 As an elementary teacher, I LOVE this idea!! These are great thank u! I’m trying to find the printable for your pom-pom patterns. The link doesn’t seem to be working. Can you help?